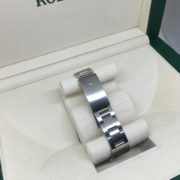 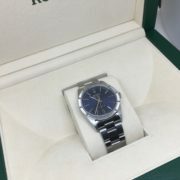 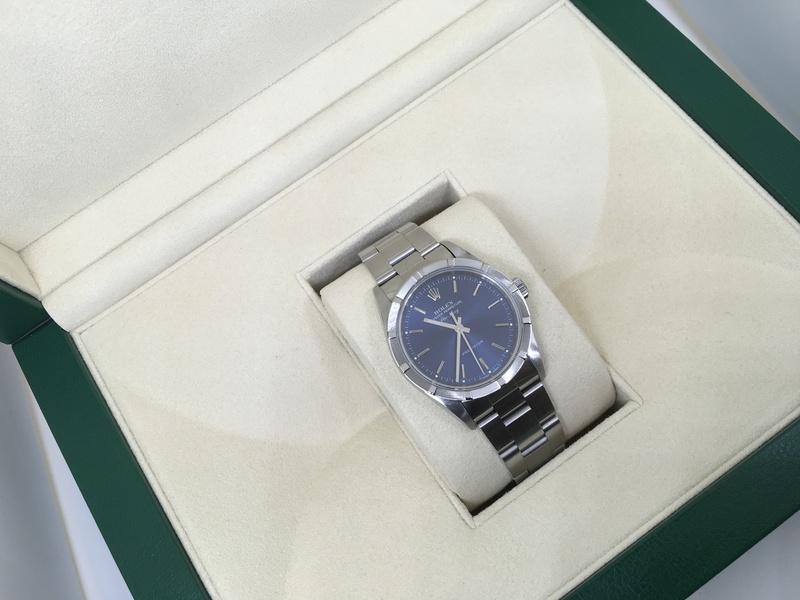 1993 stainless steel 34mm airking with box and service card. 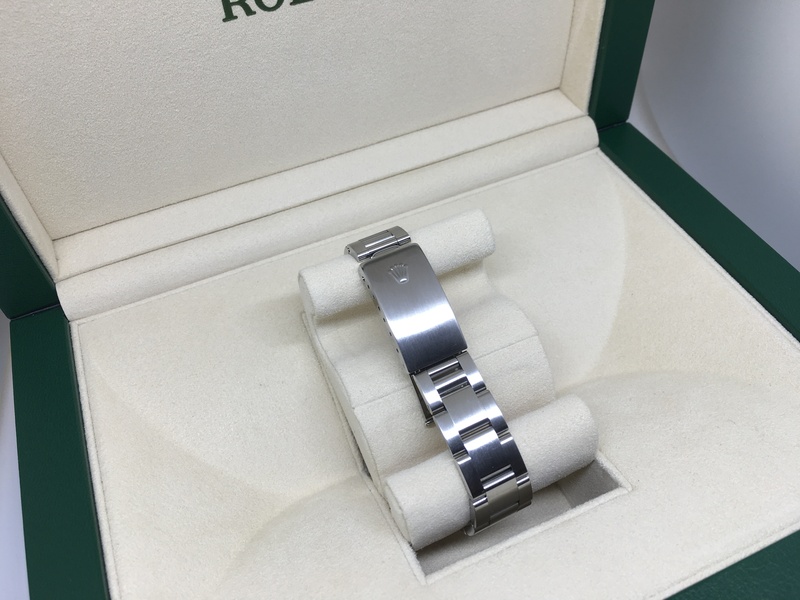 1993 stainless steel 34mm Rolex airking. 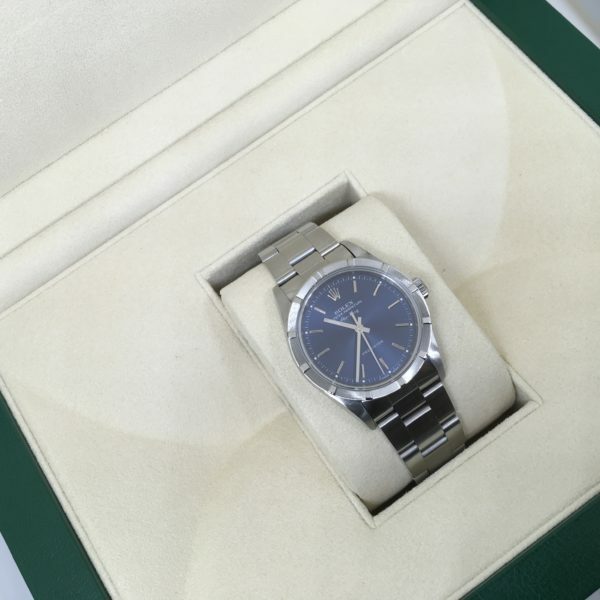 Dark blue dial with batton markers on an oyster bracelet. 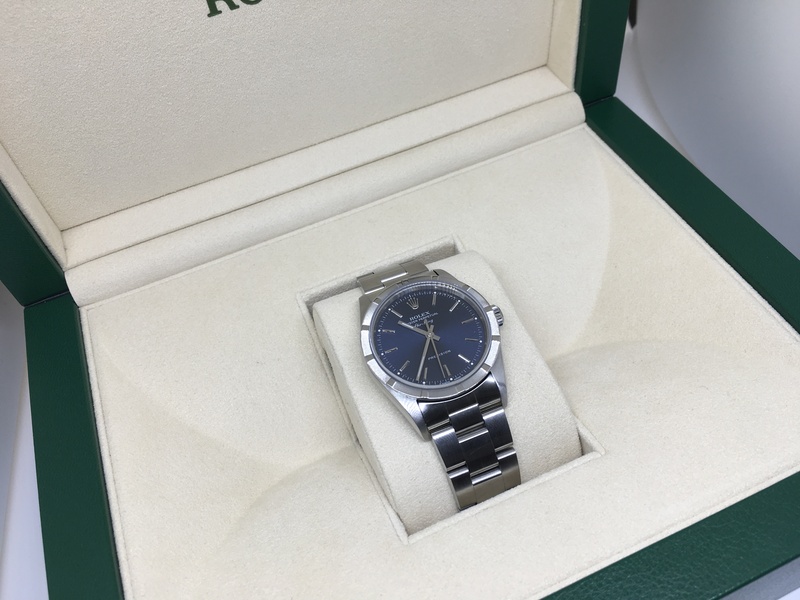 This Rolex comes with the box and service card.